A K-Pop fan shows her love for EXO. While bringing a K-Pop artist to the prom may seem like an impossible dream to most fans, one proved them wrong by taking fangirling to the next level. 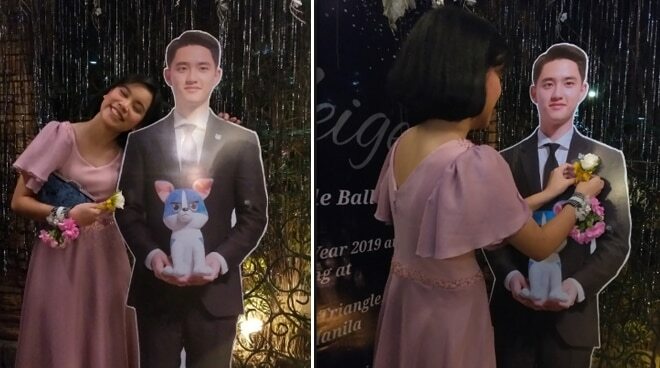 Beatriz Pineda, a student of PAREF Rosehill School and a certified EXO-L, set the online world abuzz after bringing the man of her dreams to prom. She brought EXO’s D.O. in the form of a standee to her prom. Props to her creativity, she and D.O. bagged the Prom King & Queen of the Night award. Shared by her older sister Sofia Pineda on Twitter, the proud sissy moment eventually blew up and caught the attention of fans not just locally but also abroad for going the extra mile.